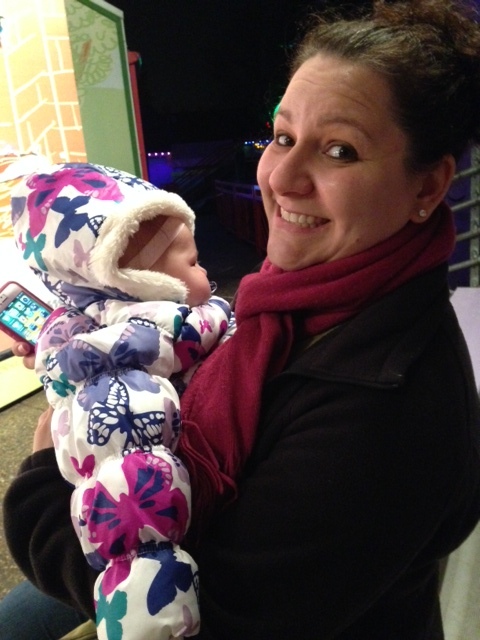 Sarah toting Maddie around at Sesame Place. 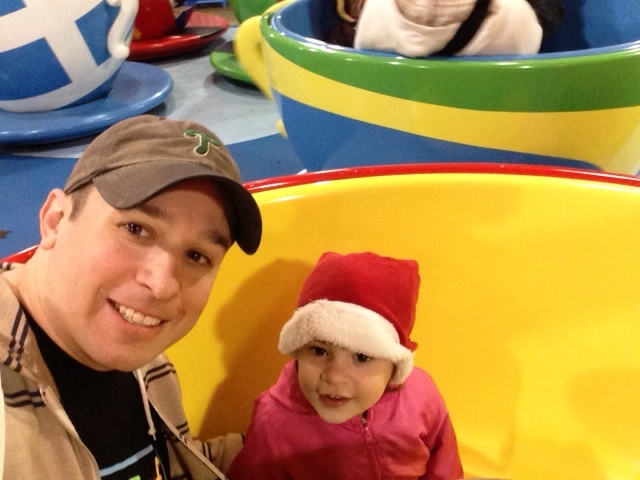 Sophia and I rockin’ out on some tea cups at Sesame Place. I’m all for freedom of speech and being able to voice your opinion. But when it comes to using choice language and cursing in front of my kids in a public place, I draw the line. Look, I get it, you’re out to eat at a restaurant and bar and feel like you should be able to have a good time. That’s great, you should feel like that. But, at the same time, me and my family should also be able to enjoy ourselves and not have to worry about you screaming f-bombs every third word at the top of your lungs. We had an instance at Victory Brewing Company the week of New Years. We’ve never had an issue when eating, or drinking, there in the years and years we have been going. It’s one of our favorite places to go. I used to do work with them when I was a reporter and editor at a local newspaper years ago. We were there with both kids, and my sister-in-law and her boyfriend. It was extremely busy that night, which isn’t a surprise at all. We were sitting at a booth waiting on our appetizers when the booth behind was seated. From there, things got LOUD and OBNOXIOUS. The one gentleman (I use that term VERY loosely) immediately started screaming. Not because he was angry or upset, just because he evidently felt that every single person in the restaurant wanted to take part in his conversation. Out came F this and F that I LOVE THIS F’ING BEER SO MUCH OH MY GOD YOU GUYS BRING ME MORE RIGHT NOW HURRY THE F UP!!! I did everything in my power to control myself. Both Sophia and Maddie were clearly visible to him in high chairs at the end of our table. We politely asked our waitress if she could ask him if could stop cursing so much, since we–and others–had kids with us. It took her awhile to get around to actually asking him, but she did. His volume lowered a bit, but he still cursed often. Sarah overheard him saying something along the lines of “Why should I not curse, it’s just an f’ing infant. And this is Victory, I can say what I want.” No, you giant d-bag, it isn’t just an infant. Perhaps you’re blind, too drunk, or just an inconsiderate moron to see the almost 3-year old little girl sitting right in front of your face. As we were finishing up our dinner, he got loud and obnoxious again. Every time he spoke it ate away at me. I was ready to confront him, but I didn’t want to force a confrontation when we were leaving. Let it be and move on. Yeah, I shot him a look as we left, but that was it. I’m not saying don’t curse. Hell, I curse plenty and have been working on not doing it as much as I do now. Yes, I understand that my children are going to hear cursing and have heard me do it. I’ve already learned my lesson with Sophia repeating what she overhead me say and I don’t want to deal with that again, although I surely will. All I’m asking is for a little bit of decency when we’re out in public. Take in your surroundings. Are there kids nearby? Are kids going to be nearby during your stay there? If there are, think better of what comes out of your mouth. It really isn’t that difficult, is it? What are your thoughts? Do you have issues with others cursing in front of your kids or in public? Share them here, on my Facebook page, or on Twitter. Thanks, Josh. Yeah, some people just don’t get how to act in certain situations and won’t ever change. Maybe some don’t notice they’re doing it and wouldn’t think anything of it, but stupid one’s that you can’t reason with are worse.